Amy Marcy (Cheney) Beach wrote: “How inevitable it was that music should be my life’s work. Both in composition and piano playing, there seemed to be such a strong attraction that no other life than that of a musician could ever have been possible for me.” Beach’s compositions for piano are products of those powerful dual attractions. A child prodigy, at age sixteen she made her debut in Boston as a concert pianist: within two years she was playing solo with the Boston Symphony Orchestra. 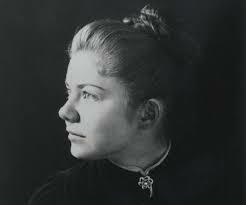 Beach soon had an equally stunning breakthrough as a composer with the premiere of her monumental Mass in E-flat, Op. 5 for vocal solists, chorus, and orchestra. This led to her acceptance as a member of the Second New England School of composers. She found further support for her concert career and her compositions from major performing organizations—not only the Boston Symphony Orchestra, but also the Boston Handel and Haydn Society, and the Kneisel Quartet, this last consisting of first-desk men from the Boston Symphony. During her lifetime she created over 300 compositions, almost all published, and performed from the United States to Australia. Indeed, Amy Beach became the most frequently performed American composer of her generation. The piano works in this collection cover a period from 1892 to 1922, and, stylistically, from the late Romantic to the Expressionist. A Hermit Thrush at Morn (1922) is introduced by John Clare’s short poem, “I heard from morn to morn a merry thrush/Sing hymns of rapture, while I drank the sound with joy.” Beach too heard the song of a thrush, in 1921 at the MacDowell Colony in Petersborough, New Hampshire, and wrote it down note for note. The bird’s song is heard in the three A sections of the piece. Alternating B sections develop motives from the bird’s song while suggesting its high-soaring flight. Notes by Adrienne Fried Block, New York, Winter 2000. Adrienne Block is the author of the Amy Beach, Passionate Victorian: The Life and Work of an American Composer, 1867—1944 (Oxford, 1998).